The balance features convenient Touch-Screen and Hands-Off operation. By the Hands-Off feature opening and closing the glass draft shield or zeroing the balance can be done without touching any buttons. 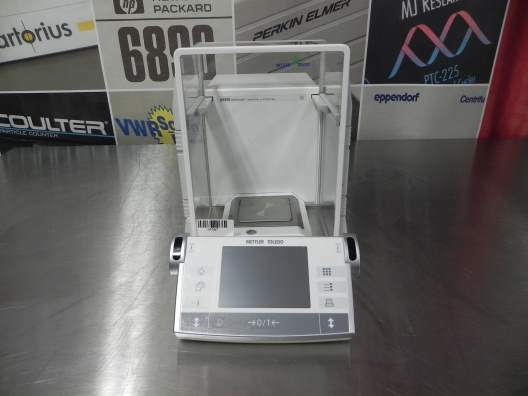 Balance operating menu allows to adapt the balance to weighing conditions, select calibration function, auto zero correction, primary and info weighing units, language and interface output parameters. The balance draft shield consists of 3 glass doors: top door, left side door and right side door. The each side door can be engaged with the top door to move together or each door can be moved separately. There is one touch button or hands-off or auto motorized movement of the doors or they can be moved manually. The hands-off movement of the glass doors is provided by “SmartSens” sensors located at the right and left sides of the terminal. 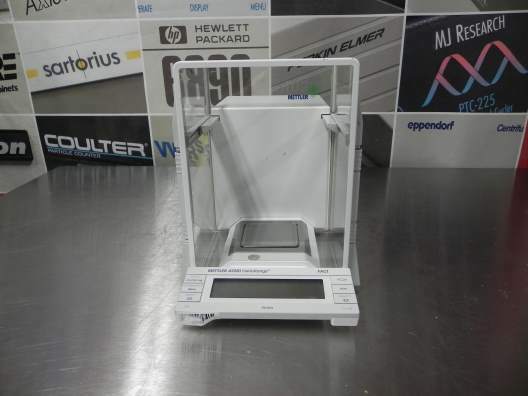 12 selectable Weighing units: g,mg,oz,ct,dwt,GN, etc. Features Piece counting, percent and dynamic weighing with statistics and density determination. 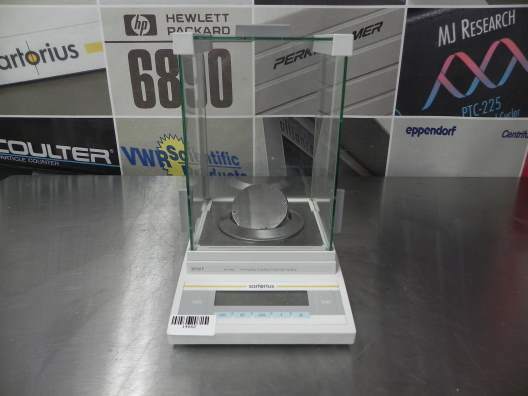 The Mettler toledo AX26DR analytical balance provides a dual range readability (coarse and fine) and fully automated calibration. This product also features touch screen and hands-off operation for better ergonomics. Suitable for various research and educational purposes. 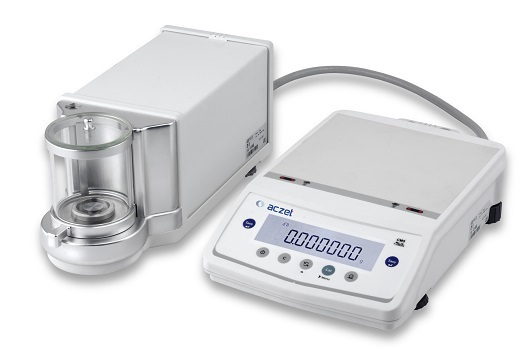 The Aczet Micro Balance consists of two components - one containing the electronics and the other, the precise mechanical measuring cell. This separation eliminates the effects of temperature and the influence it has on the microbalance scale. 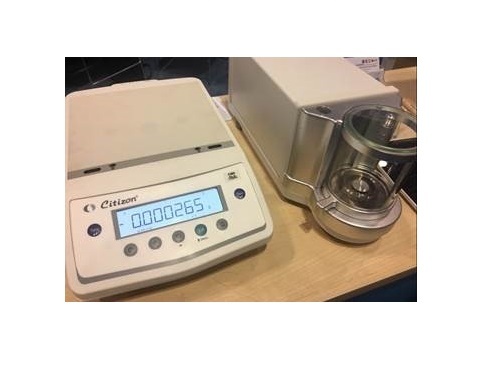 Application Modes: PCS, % Weighing, Formulation, Check Weighing etc. 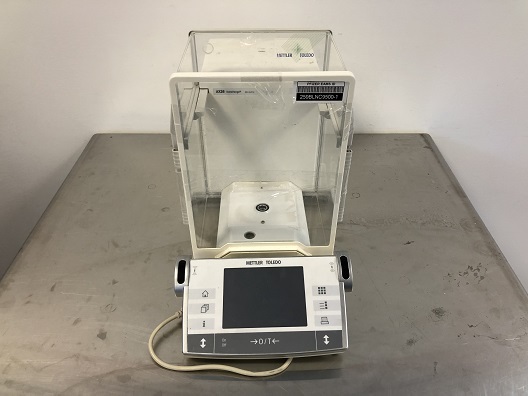 This Micro Balances has been designed to meet high requirement for measuring small masses with high readability (d = 1 mg). 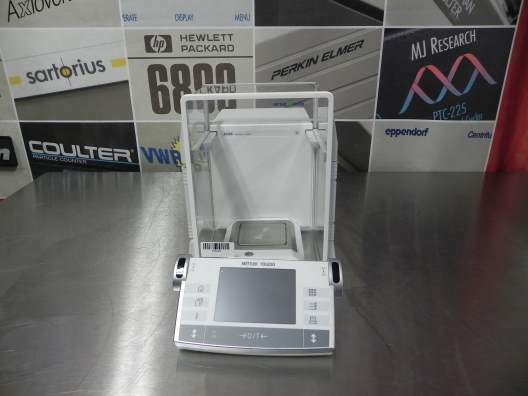 It is equipped with graphic display/with user menu. In order to guarantee proper accuracy of measurement, a half automatic system of external calibration with E 1 standard weight has been applied. Micro balance consist of two balance components. One of them contains electronic modules & other precise mechanical measuring system. Such solution guarantees elimination of temperature changes influencing the indication micro balance.